There is no denying that F.Scott Fitzgerald novel - The Great Gatsby - is nothing short of iconic and mind stimulating. Published back in 1925, the book is set in the early decades of the 20th century and makes an outstanding use of contrasting imagery that depicts a tumultuous 1920s society. The novel unravels a number of themes throughout its plot such as money, relationships, pursuing the American Dream, and alcohol; all of which form excellent topics for a research paper for anyone who is looking to analyse Fitzgerald's novel more in details. That being said, here are some of the most popular topics covered in The Great Gatsby. If you want to see some new and fresh ideas, please, read our other list of Great Gatsby new essay topics. Throughout Scott's novel, different characters are depicted as trying to reach different heights of the proverbial American Dream. They all have their own unique definitions of the same and aspire to shape their destinies through these personal beliefs. As expected, money and wealth play quite an important role in achieving these lofty dreams. Through Gatsby's characters, we can that success, love, wealth and respect are somehow intertwined in the quest for these life visions and aspirations. The idealisation of Jay Gatsby, for instance, shows how the society has no qualms with the amassing of wealth with the aid of illegal means. Under this topic, a student can discuss how hopeful aspirations and the American dream ideology is turned into despair and anguish by affluent but crooked members of the society. The decade between 1920-29 is of particular importance and interest in the American history. And no wonder it is popularly referred to as the 'Roaring 20s' or the Jazz Age by many historians. This was a decade characterised by strife by all political, cultural, religious and social standards. Similarly, Fitzgerald, in his novel, "The Great Gatsby" paints the 1920s as a dark era of a self-absorbed, empty, and selfish pursuit of money and physical pleasure. Illegal activities, greed, and outright plunder of public coffers was the order of the day here as moral standards that had earlier helped hold the society in place slowly decayed. But it is not all grim as Scott Fitzgerald proves in this book. The same 20s saw the rise and rise of the US Stock Market and the increased recognition of women rights. One of the most dominant themes in "The Great Gatsby," was the discrimination of the members of the society along race and social classes lines. Jay Gatsby, for example, who rose from rags to riches is a typical illustration of how a man's prospects in the society change as soon as he acquires a sizeable fortune. At the same time, the strife between the 'old money' and the Nouveau Riche in a society is well-highlighted when Jay Gatsby is denied admission to the top echelons of this society despite his newfound wealth. Most of which, as a matter of fact, was gotten through illegal/questionable means. If anything, this proves that the disheartening human culture of discriminating people along racial and affluence lines did not start with us. 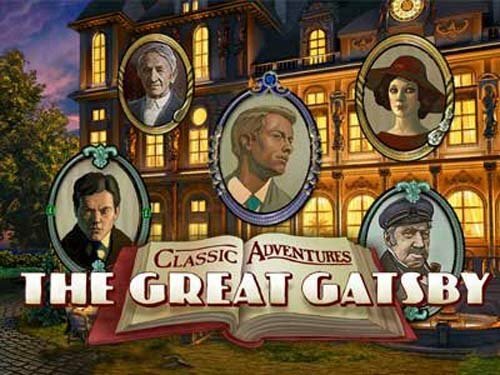 Like any other well-written piece of literature, there is no shortage of in-depth, thought-provoking popular topics to dissect in "The Great Gatsby". This is one of those of few novels that mirrors our current modern 21st-century society perfectly despite having been written almost a century ago.